Escada Magnetism by Escada is a Oriental Vanilla fragrance for women. 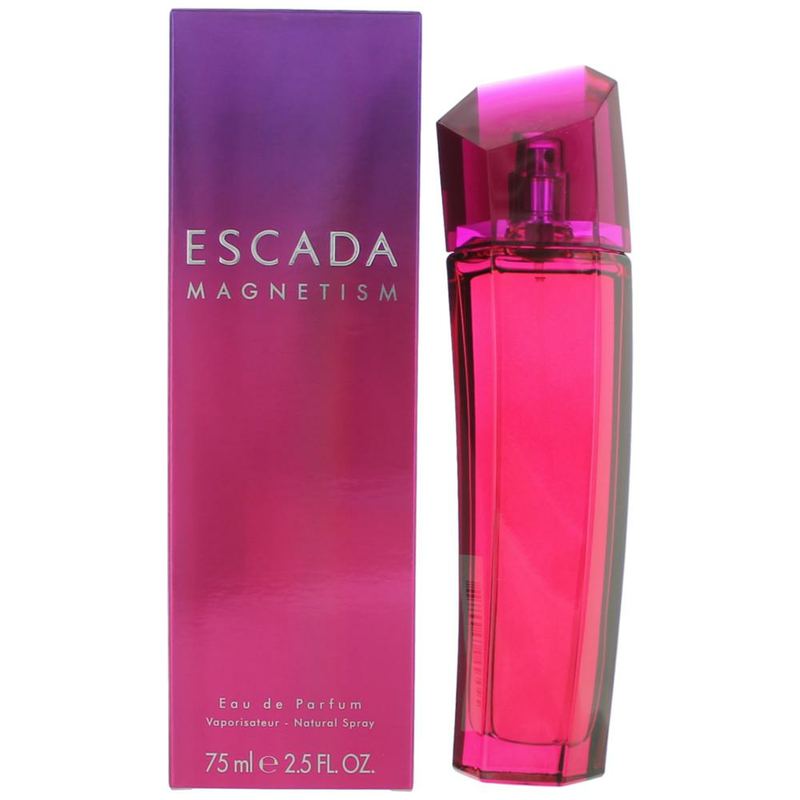 Escada Magnetism was launched in 2003. 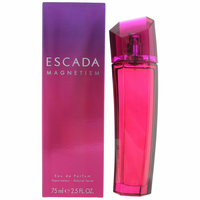 Top notes are pineapple, black currant, melon, red berries, cassia and litchi; middle notes are magnolia, iris, green leaves, freesia, basil, jasmine, caraway, heliotrope, lily-of-the-valley, rose and almond blossom; base notes are sandalwood, amber, patchouli, musk, benzoin, caramel, vetiver and vanilla.